This Elk was walking right at me during my visit to the National Park. He was bugling and headed to a pack to challenge a rival. 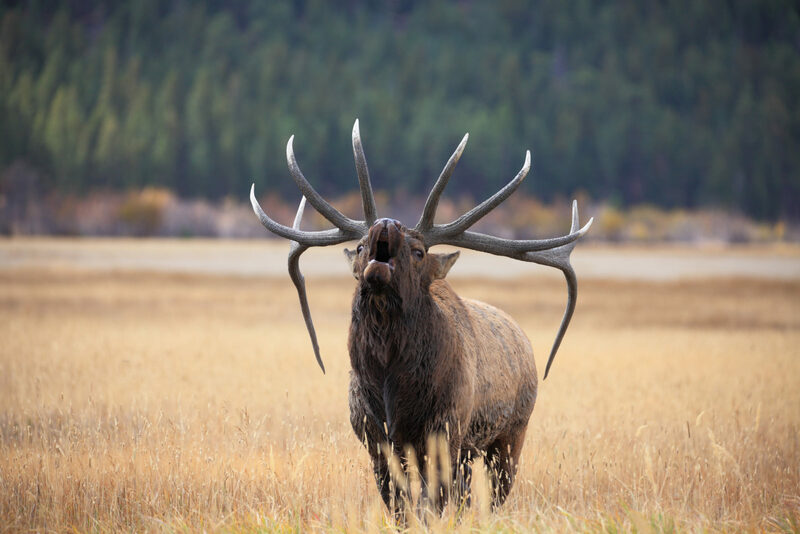 Elk bugling during rutting season in Rocky Mountain National Park.